Shaped pouches provide a guaranteed way to stand out on retail shelves, With stand up barrier pouches rapidly becoming more common, shapes are a new technique for brands to differentiate from competitors and stand apart on the shelf. Custom shaped flexible packaging pouches are one of the most excellent options for liquid packaging. Lanker Pack shaped pouches can be shaped to match brand, function, and appeal for a variety of packaging applications and markets include: liquid detergent packaging, sauce packaging, beverage packaging, juice packaging, wine packaging, ect. Each with outstanding print graphics and quality performance. PET/PE, PET/MPET/PE, PET/NY/PE, PET/AL/PE, BOPP/AL/NY/PE, etc. Color: Up to 10 colors, matt, glossy or metalized effect, Based on artwork from customers. Die cut shapes and handles for shelf-appeal and enhanced consumer experience. 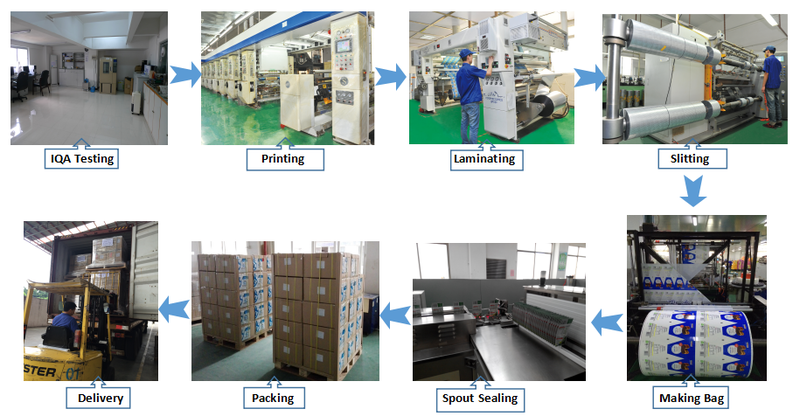 Lanker pack is not only a professional manufacturer for high quality flexible packaging bags and films, but also your best packaging solution partner. We can customize your packaging products based on your design and application. All of our packaging products meet FDA and EU standard for food contact. 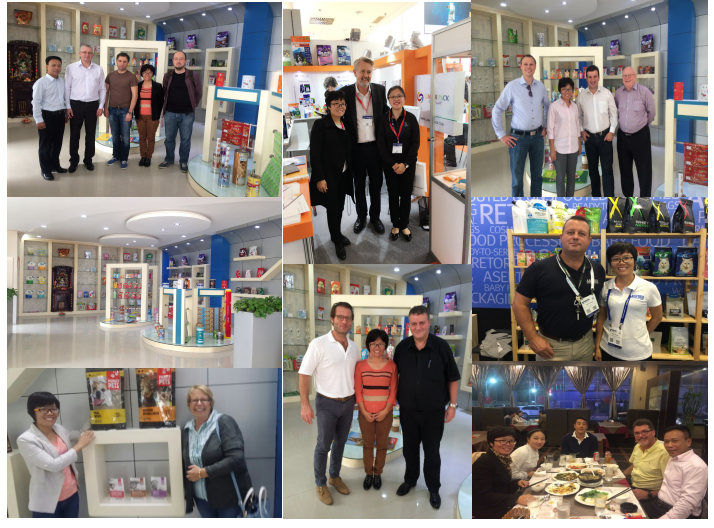 We are one of the most professional manufacturers and suppliers in China. Please rest assured to buy the Customized Shape Pouches | Liquid Packaging | Stand Up Spout Pouch with our factory. The competitive price and timely service are available.